We install and repair the best available garage door openers on the market...Liftmaster®! 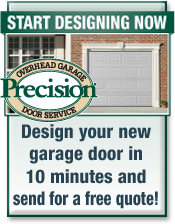 If you need an opener installed or a garage door opener repaired in Cincinnati, give Precision a call today. 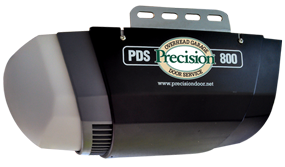 The 8365 1/2 HP AC Chain Drive Garage Door Opener is the perfect choice if you want enhanced style, reliability, and the performance attributes of our best-selling drive system ever. This unit includes 2 remote controls and a wall control panel. 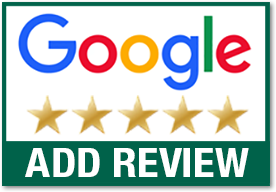 The LiftMaster® Internet Gateway is only compatible with LiftMaster® garage door opener models 8355, 8360, 8550 and 8500. Security+ 2.0 technology changes to a new code with every click, transmitting multiple frequencies and ensures operating consistency and extended range even in the toughest interference areas. Motor Vibration Isolation System (MVIS®) delivers smooth, quiet performance. A perfect choice for homes with a living space above or next to the garage. 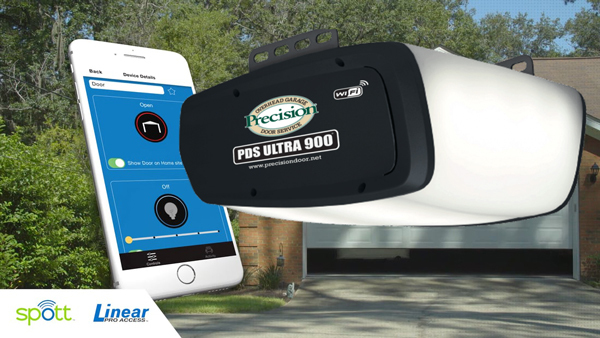 Auto-force allows the garage door opener to adapt to weather and changing environmental conditions, ensuring optimal performance and eliminating the need for manual adjustments. Energy efficient operation consumes up to 75% less power in standby mode. HOMELINK® compatible with QuickTrain™ technology. 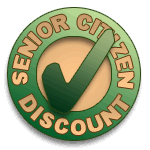 Earned the Good Housekeeping seal. Includes a lifetime warranty on the motor and belt.